On 6th August 2015 at the Bristol International Balloon Fiesta, Europe’s biggest hot air balloon gathering saw the maiden flight of a solar powered balloon. We visited the following day and joined the huge crowd in applauding as it took flight again. It was very fitting that this happened in Bristol which is the European Green Capital of the Year. 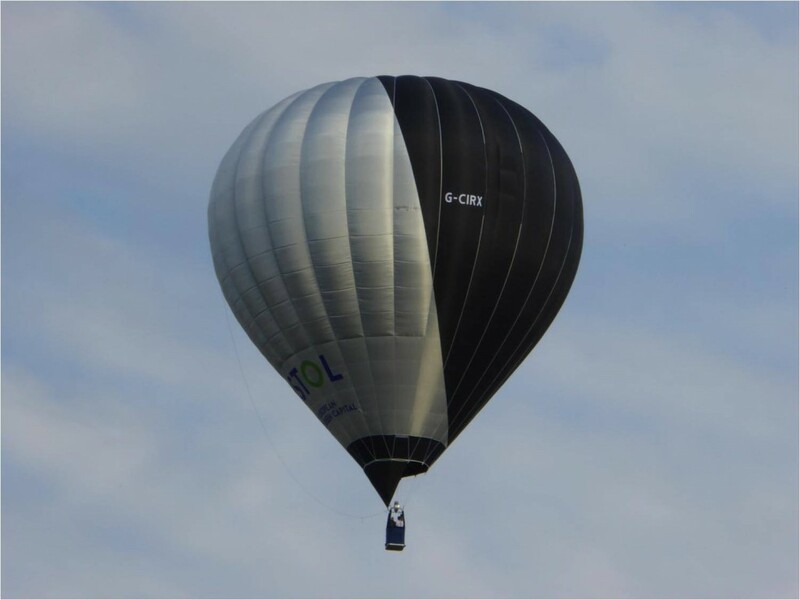 The balloon which is black on one side to absorb the heat and silver on the other to reflect it, is controlled by turning it into and out of the sun. The festival is an amazing event drawing thousands of visitors over it’s four days. The number flying has increased with this year seeing on average 100 at a time taking to the air. Lucky, the weather was kind for all seven flights. The design of the balloons has become more and more creative over the years. Unlike the solar powered balloon that is restricted in colour, that is not the case for the others that use the space well to advertise a multitude of products. Then of course there are the shapes! Check out the penguin! There were a couple of those, as well as a Swatch watch, Stuart the Minion and the light bulb. If you look carefully at the horizon shot, you might be able to see the FA cup as well as the solar powered balloon that had caught the sunshine beautifully. So, a great deal of hot air was expended over Bristol this past week-end. The statistics for the solar powered balloon are pretty impressive – five litres of fuel instead of the 60 litres that the same journey would have been used in a conventional basket-carrying balloon. The pilot admitted to holding the burner throughout the flight as it was habit and there were a couple of occasions when the burner had to be used when the balloon was shielded from the sun. Asked if he thought this was the way forward for hot air ballooning, he felt that it worked in principle. I think, given the weather here in the UK, that comment shows the pilot as one of life’s optimists! I waved to the people in the baskets as they soared above me but you wouldn’t get me in one. Have you or would you go up in a hot air balloon? How do you fancy a solar powered balloon ride? I wonder if I’d ever work up the courage to ride in one. Have you been? No I haven’t Corinne. Not sure I would either! 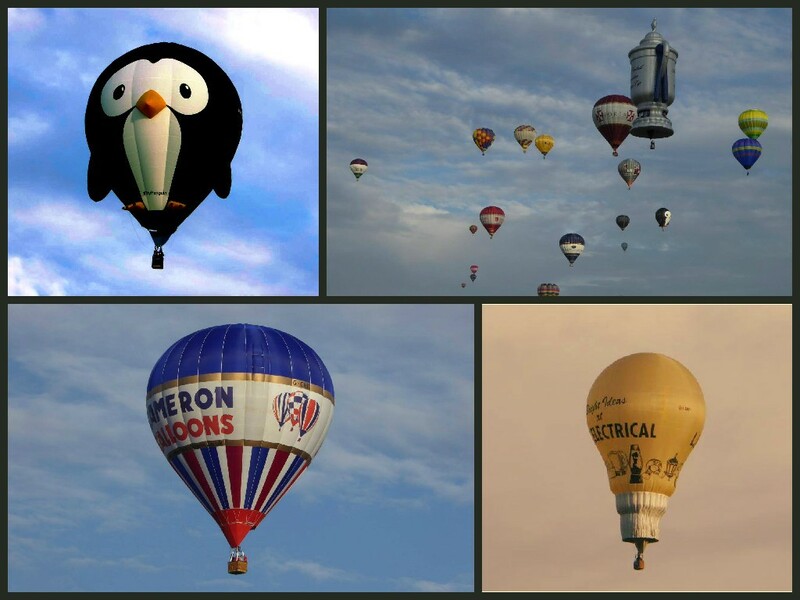 I definitely want to ride in a hot air balloon, and love the idea of a solar powered one! I think it would be VERY peaceful as you wouldn’t get that ‘WHOOSH’ from the burners. Ooh, this is on my wish list of things to do. Great post, love the penguin! It is such a great ‘uplifting’ experience Riby. Gets me all emotional when they lift off! Thank you for visiting! I had no idea there were solar powered Hot Air Balloons. We have many local Balloon Fests, so I’ll have to check them out. Probably haven’t made it to the US yet. ? We like it & agree there is so much going on! Thanks for visiting! Goodness Mike. That is like a double whammy! Are you near Bristol? Never been on one, and I don’t think ill be able to get on one either. The thought that it goes up so high scares me. I think I agree with you Sacha although the my trip on the London Eye was fabulous! Well you must book one in Gilly. You’d get some fabulous photos! I’ve wanted to visit that festival for so many years. One day I will, especially as I’m always looking to the skies! It looks so much fun. Thanks for sharing. It is an amazing experience Gavin especially when they are all jostling to get airborne! You made me sing and that is a wonderful thing. Love the pics and the post. Thank you so much for stopping by Trenna. As for the song it always gets me up & dancing! I think it was advertising a removal packaging company Maz. There were so many weren’t there!